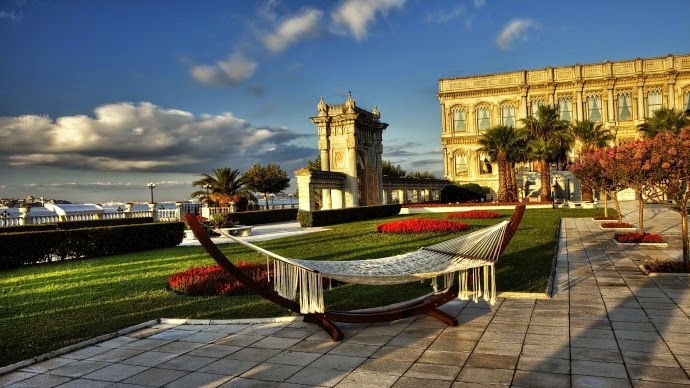 Housed in a former Ottoman Imperial palace on the European shores of the Bosphorus, Ciragan Palace Kempinski Istanbul is unique in every sense. With its splendid style, superb location, fascinating view and resort ambiance, it offers the ultimate in luxury amid the glamour of a Sultan’s palace. The grandiose property has a total of 313 rooms, including 20 suites in the hotel and 11 suites in the historical palace. Eighty per cent of its rooms face the Bosphorus or the Yıldız Park, which was once the hunting forest of the Sultans. Beige and blue interiors have nineteenth-century furniture, custom wool carpets, vaulted ceilings and soaring columns to evoke the opulence of the Ottoman era. The hotel’s four restaurants: Tuğra, the Gazebo Lounge,Laledan Restaurant and the Bosphorus Grill, offer a contemporary take on Turkey’s rich culinary traditions. 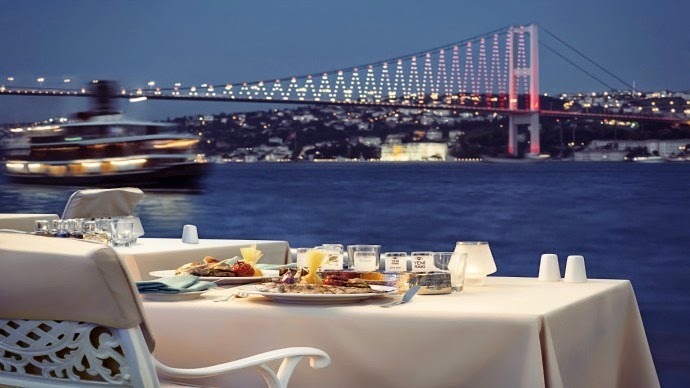 Each one accented by a balcony or terrace overlooking the Bosphorus promises incredible gastronomic experiences. Guests can also enjoy premium cognacs, quality malts, wines and champagnes at the hotel’s Le Fumoir and Criragan Bar. 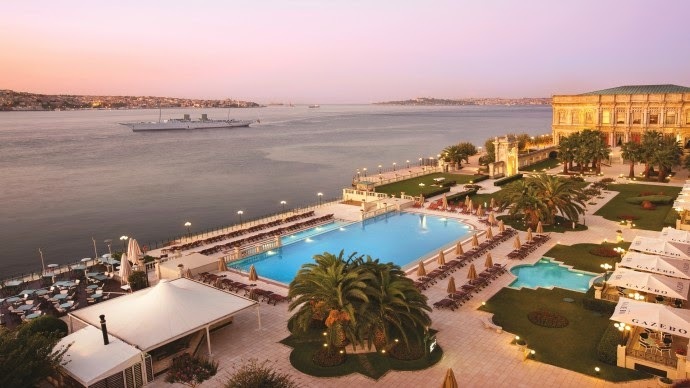 The Ciragan Palace Kempinski Istanbul maintains the grand tradition of the Bosphorus. Combining architectural grandeur and scenic views, the hotel lets you indulge in the glamour of bygone times and enjoy the boat traffic up and down the famous stretch of water that straddles both the Asian and European continents. Swimming in the hotel’s infinity pool gives a feeling of floating on the Bosphorus. 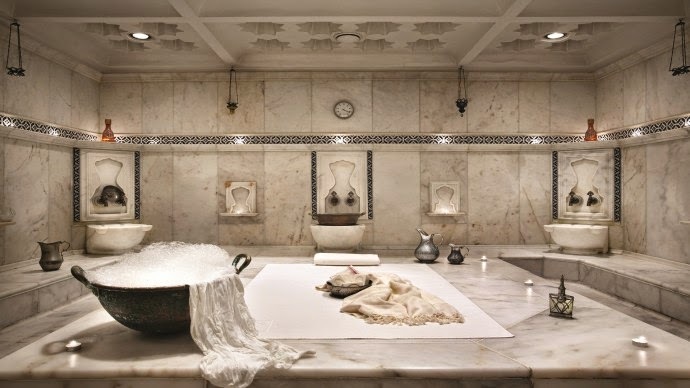 You can also enjoy traditional Turkish message and bath at the authentic Turkish bath. Many celebrities have stayed at the Ciragan Palace Kempinski that the hotel has a wall of fame off of the lobby with photos of all the notable past guests including Madonna, Bill Clinton, Oprah Winfrey, Robert De Niro amongst others. 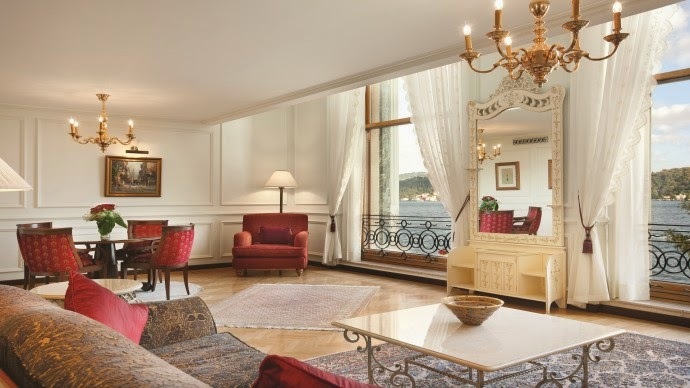 Bosphorus View One Bedroom Palace Suite offers panoramic views of the Bosphorus through the sash windows. You can quite literally breathe in the Bosphorus that lies in front of your eyes while standing in your balcony. And you can imagine why it was once the residence of the last Ottoman Sultans.